Self catering accommodation in the Cockermouth area. Two bedroomed barn conversion on working farm, two miles from Cockermouth in the beautiful Lorton Valley. Vegetables and fruit from the farm in season. Short breaks available. Nestling among the magnificent fells and lakes of the Loweswater valley, Scale Hill has provided accommodation for nearly two centuries. The Manse cottage (Was the home of a Christian minister) is a lovely two bedroom late Georgian home in the Western Lake District Fells in the delightful village of Great Broughton. It has one double bedroom and 1 twin bedroom that accommodates 4 adults comfortably making it a perfect retreat. This is a very cosy cottage and is ideal for holidays and getaway breaks. The home is beautifully furnished and it has its own dedicated parking space right in front. Walking and easy riverside rambles are possible from the front door. The Cottage is located across the road from The Punch Bowl Inn pub which is open Thursday, Friday, Saturday and Sunday and meals are available at the Broughton Craggs Hotel. Cosy cottage retreat with easy access to the Northern Lakes,South Scotland, and the beaches of the Solway Coast. Award Winning Holiday Home Park, situated in a secluded delightful setting on the outskirts of Bassenthwaite. Also self-catering cottages. Offering a range of Self catering holiday accommodation in the Lake District including: holiday cottages, timber lodges, group accommodation and holiday static caravans sleeping from two to eighteen people. Visit our website for Secure Live Online Booking! A spacious 3 bedroomed Georgian town house overlooking the cobbled, tree- lined thoroughfare of Kirkgate, part of the conservation area of Cockermouth. The light and airy rooms are comfortably appointed to a high standard and the unusual features of the property add to its charm. The property which sleeps 5, is close to all shops and amenities and is an ideal base for exploring the lakes and coast of northern Cumbria. Visit Britain *** rated. Nestling in the rural hamlet of Brandlingill, just 3 miles from Cockermouth, is Wood Farm. The holiday cottages have been tastefully converted from a disused barn to create 2 very spacious and delightful self catering cottages � Tithe Cottage and The Byre. Owner maintained, each cottage sleeps up to 6 in comfort, ( 1 double and 2 twin bedrooms), providing visitors with all the modern amenities expected in a luxury Lake District self catering cottage. One pet is permitted in The Byre. There are walks from the door but for the more ardent walker, the Lorton Vale is just a few miles away with the beautiful scenic waters of Buttermere, Crummock and Loweswater. The market town of Keswick is only 15 miles away. This cosy townhouse is situated in the Kirkgate conservation area near the centre of Cockermouth. It is a delightful mid-terraced property, convenient for all local amenities and on the border of the Lake District National Park. The Solway Firth Cumbrian coast is also easily accessible. The cottage is Dog Friendly. Owner maintained, full equipped ground floor apartment in the shadow of Cockermouth Castle. Central for all town amenities. Private parking, garage, and Sky television. Short breaks available. 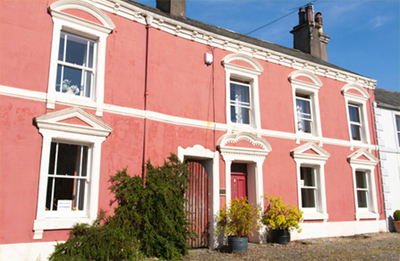 A leading holiday cottage lettings company with a selection of handpicked cottages in Cumbria. Every single one of our holiday cottages have been personally inspected by dedicated property managers to ensure a high standard of holiday accommodation. Our growing collection of well-kept properties in Cumbria make a perfect base for exploring the area. Choose from pretty barn conversions to well-maintained houses with facilities such as swimming pools. Whether you are looking to get away with the family, escape with your loved one or you want to get a group of friends together, we have cottages in Cumbria perfect for all! Seven cottages exclusively for couples have been converted from the barns and stables of historic Ellen Hall in the peaceful Ellen vale, North Lake District between Cockermouth and the Solway Coast. 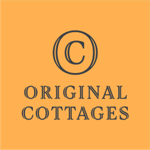 Original Cottages draws together the cottages from our family of sixteen local brands. Experts in their area, their in-depth knowledge and on-the-ground availability is invaluable to ensuring we can offer you the best cottage holidays around. Coldgill View is a cosy “home from home” – Ideal for a cosy getaway for 2 but spacious enough to welcome a family group of 7. A Great Base for exploring the North West Lakes and Coast. Dog friendly with enclosed gardens and lovely walks from the doorstep. Established in 1993, the Lakeland Cottage Company offers over 70 holiday cottages across the scenic Lake District National Park. Sally's Cottages is a family-run, award-winning holiday cottage letting agency with more than 470 self-catering cottages in the Lake District and Cumbria. A local holiday cottage agency with over 250 properties in the Lake District. We have 25 years’ experience in the cottage letting industry and have expert knowledge of the local area. We provide the right properties in the right locations. Create beautiful memories today. Beaulieu Cottage is a delightful Georgian mid-terrace and has a lovely mix or original and modern fittings providing a comfortable holiday home with full central heating. On the ground floor there is a large lounge with electric fire and 32inch flat screen Freeview TV and DVD player.